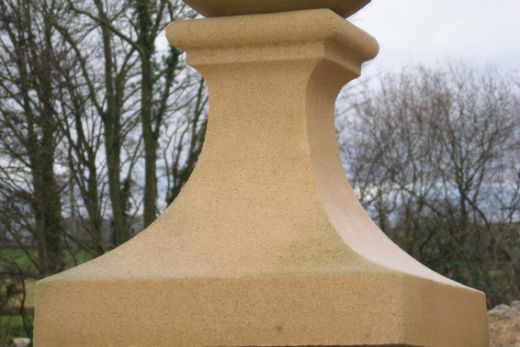 Cast stone weathers (begins to look older) in a very similar way to natural stone. 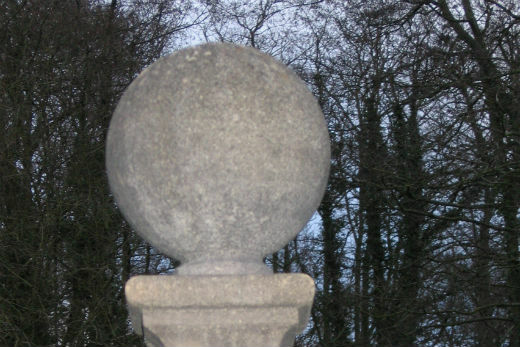 With time, the stone darkens and can grow moss or lichen if placed in more rural surrounds. In urban surroundings, the stone will pick the hues of everyday town life. Cleaning the stones will help prolong the on-set of weathering, but over a few years it is inevitable the stones will look older. Efflorescence is a naturally occuring phenomenom. It can occur to any product that contains a cementicous binder and leaves a white looking deposit on the face of the item. It is more common to be found in mortar, which in turn contaminates cast stone or bricks rather than eminating from the stone. It is usually a temporay discolouration to the stone that dispears over time and it is best to leave it this way. However, cleaning can be done for less severe cases although it is not always sucessful. Efflorescence does not affect the structural integrity of the stone.